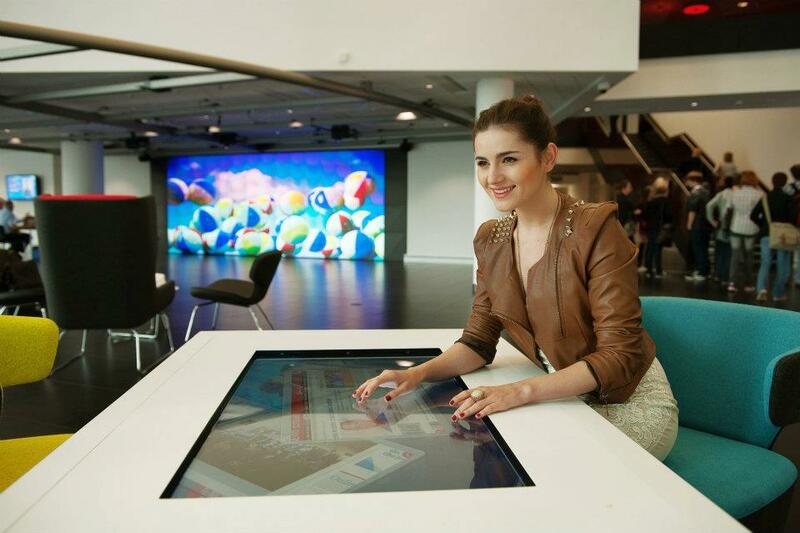 10 x Promultis Multitouch Tables with Snowflake Suite customised by stardotstar. 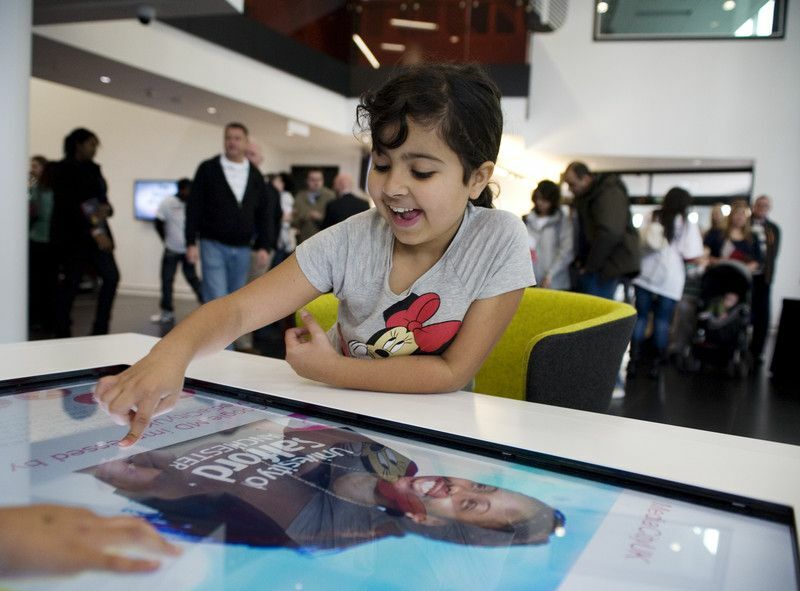 Media City is an innovative development within The University of Salford, Manchester, housing over 80 businesses across the creative and digital sectors. 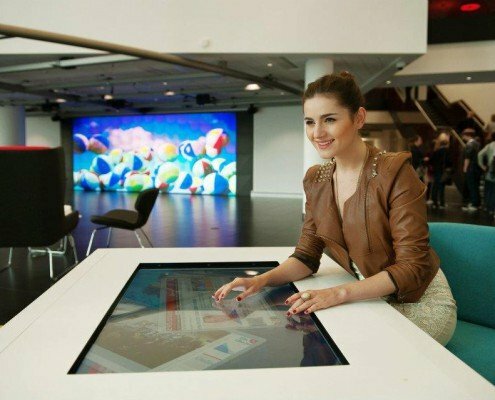 Their key tenant is the BBC who relocated a large part of their production to Media City, including BBC Breakfast, utilising their state of the art studio spaces. 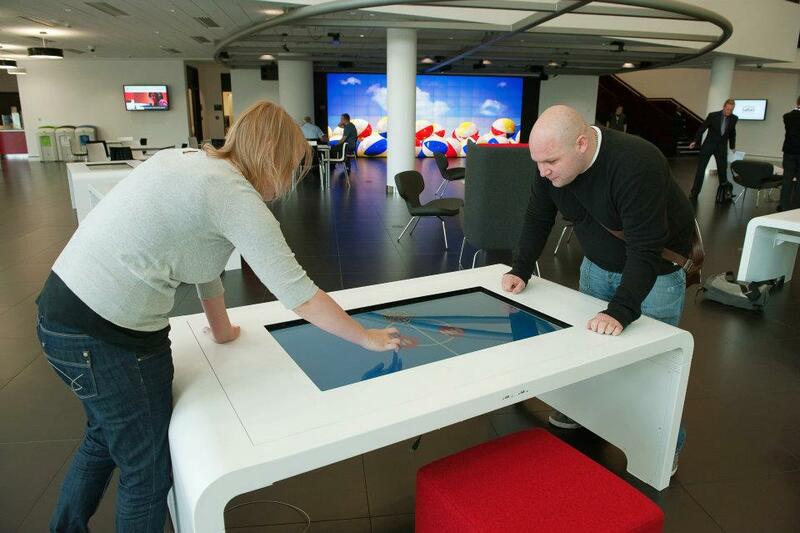 “The Egg” is a state of the art exhibition and performance space within Media City, Salford. 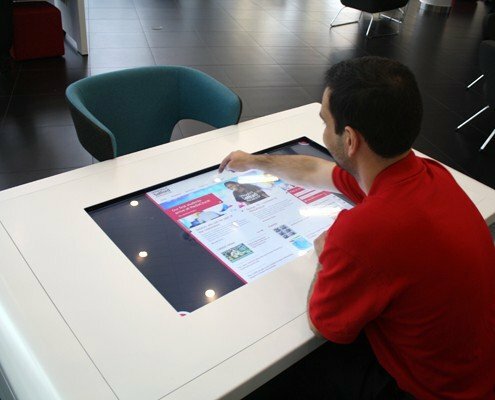 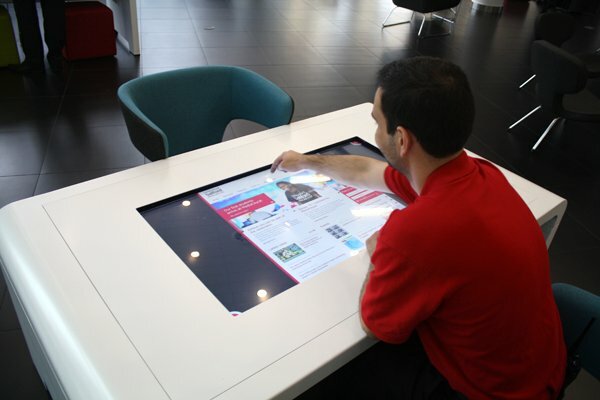 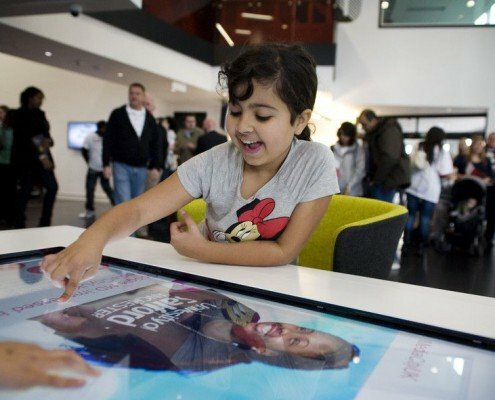 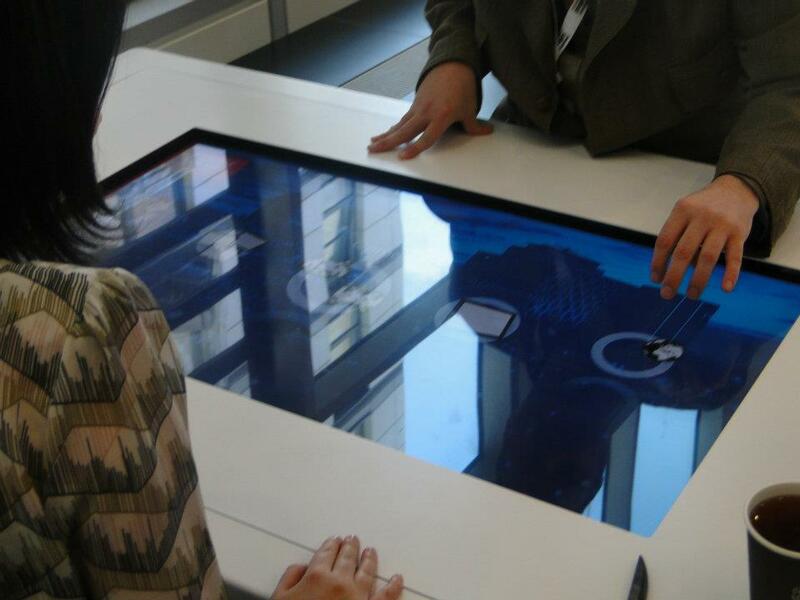 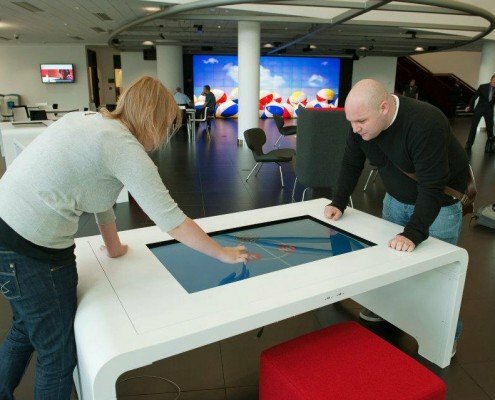 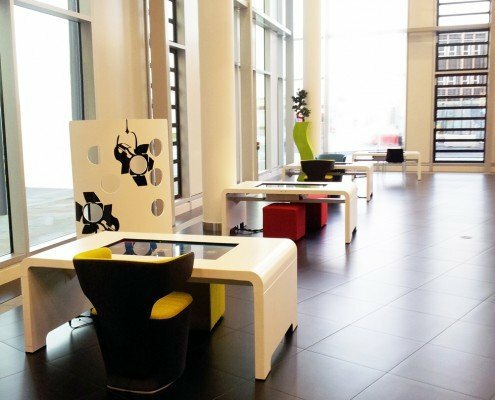 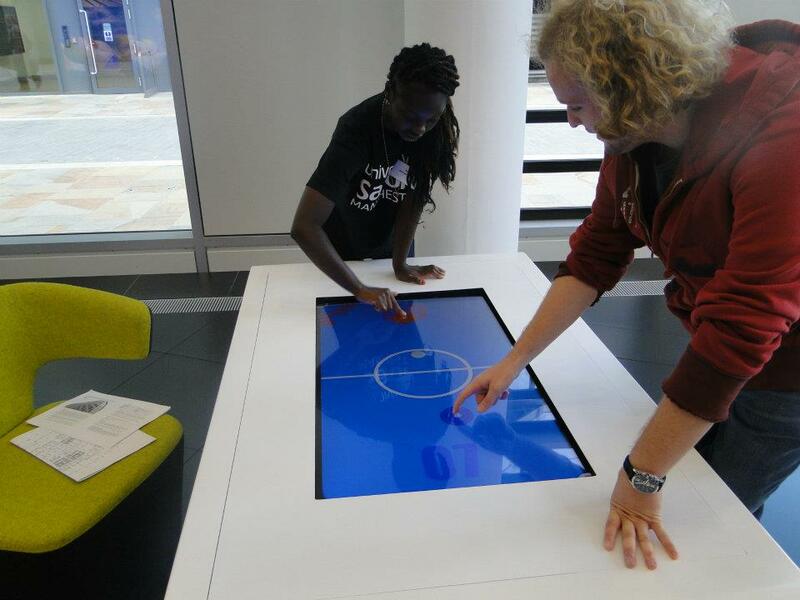 10 ProMultis Multitouch Tables act as a permanent feature in The Egg. The custom-designed application allows students and visitors to access multimedia information as well as providing web browsing and a selection of games.